Opal struggles to get along with the other workers, who think her snobby and stuck-up. But Opal idolises Mrs. Roberts, the factory's beautiful, dignified owner, who introduces Opal to the legendary Mrs. Pankhurst and her fellow Suffragettes. And when Opal meets Morgan - Mrs. Roberts' handsome son, and the heir to Fairy Glen - she believes she has found her soulmate. But the First World War is about to begin, and will change Opal's life forever. I used to love Jacqueline Wilson's books when I was younger, but I haven't read one for many years. I thought I was too old, that they wouldn't interest me in the slightest anymore, but I was wrong. Opal Plumstead, at least, can be read and enjoyed by anyone of any age, and I was surprised to see that this book dealt with some really, really dark themes. Now I'm wondering if Wilson's other books do, too. Maybe this stuff used to fly right over my head because I was so young. It's strange, going back to a favourite childhood author. Opal Plumstead doesn't fit in. 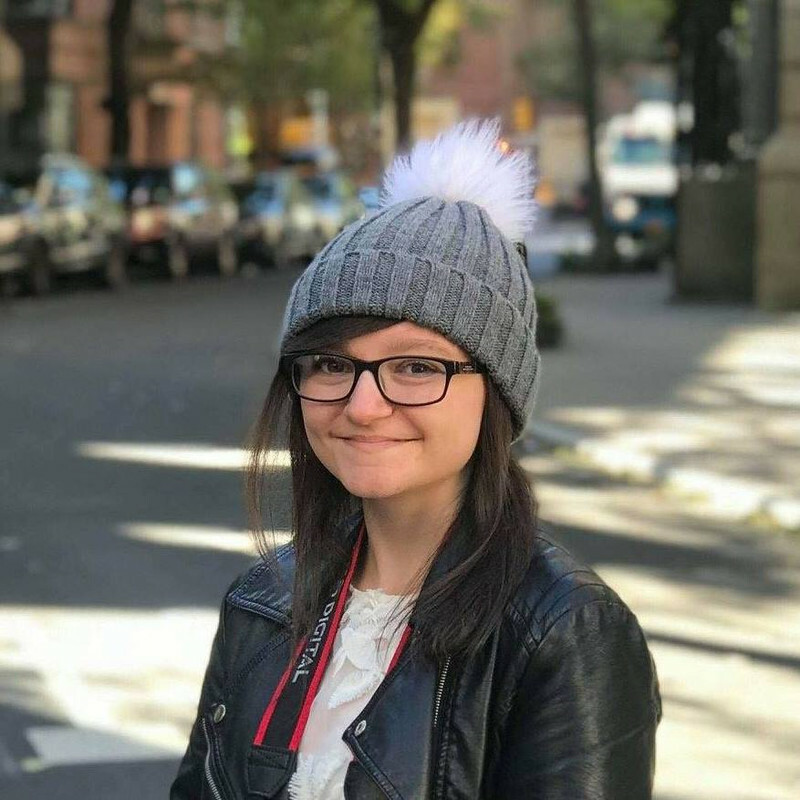 Her teachers hate her, the girls at school ignore her, and she only has one friend. To make matters worse, Opal's sister is the favourite daughter. But life is okay. There's food on the table, books on the shelves, and Opal has big plans to go to Oxford. Then her father is arrested, Britain goes to war and Opal is taken out of school and shoved into a factory. Nothing is the same again. To be honest, I didn't expect to enjoy this book as much as I did. There were parts that really dragged and I felt that this book was unnecessarily long, but there were many aspects that I loved, Opal's intelligence being one of them. There were times when she used words that even I don't completely understand. This was great to see because, a lot of the time, children's books are incredibly simple with boring sentence structures and words that would better suit a three-year-old. It was refreshing and, this probably sounds patronising, but I'm all for books that inject challenging vocabulary into childrens' lives. I was also pleasantly surprised to see feminist themes taking up a large portion of this book. Yes, I see it's on the cover now - I'm not the most observant person at times! I think it's wonderful that such a thing is being promoted in a children's book by one of the world's most popular authors. 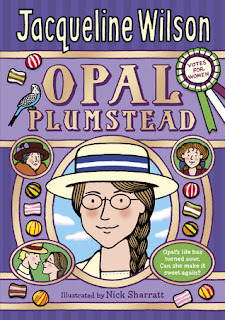 I've also been given an Opal Plumstead goodie bag to give away to one lucky winner! Click the arrows on the widget below to see what's inside. This is open to residents of the UK and ROI only. Good luck! And if you're bored and want a video to watch, I've also uploaded a video review of this book. If that's more your kind of thing, why not have a look? Enjoy! I still love Jacqueline Wilson's books and I am 17. A lot of them do deal with heavy topics which I really love. In fact I had a conversation the other day with two authors who were saying how much they still love children's books including Jacqueline Wilson's and that although we may get older, they still remain worthy reads for us. There is just something about her writing that I find comforting and I hold a close attachment to them because I identify well with some of her stories and they were the books that got me into reading in the first place. I haven't read Jacqueline Wilson for years! This book looks quite good though! Until I was 11, I only read Jacqueline Wilson books. She was such a huge part of my childhood, and I still own all the books I read of hers... some 25. I've heard so many good things about Opal Plumstead and I bet that the Suffragette Movement aspect is fascinating. Great review!! This book sounds so interesting, you have inspired me to revisit her books! I remember reading Jacqueline Wilson! They were always intriguing to me - I think I still have my copy of Love Lessons at home somewhere. I HATED Opal PLumstead. She was a whiny, insufferable brat who was constantly crying and having tantrums. I thought I was reading about a three year old spoiled child, not a 15 year old "feminist". I think times were different back then and times were hard, so she was probably dealing with that. I'm sorry you didn't like this one! I've read quite a few JW books and thought they were brilliant (albeit the stodgy writing). I suppose this is Jacqueline Wilson's An Abundance Of Kathrines.